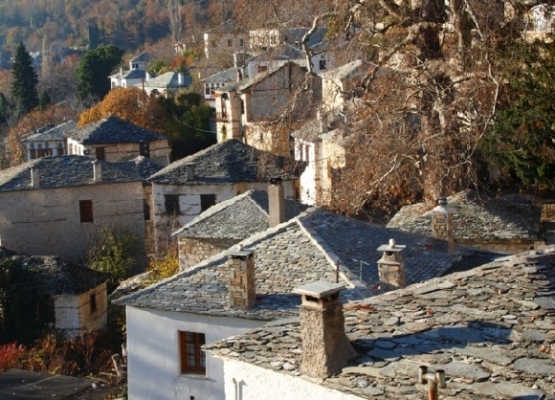 Summer, winter, fall and spring, Pelion is an ideal destination all 4 seasons! Pelion is a mountain at the southeastern part of Thessaly in central Greece, forming a hook-like peninsula between the Pagasetic Gulf and the Aegean Sea. 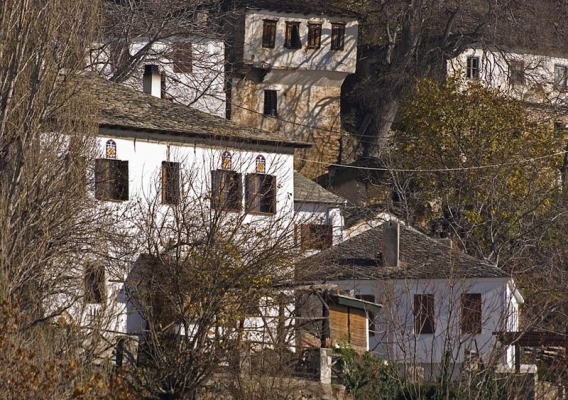 It is considered one of the most beautiful mountains in Greece and is a popular tourist attraction throughout the year: hiking trails and stone paths give access to springs, coves and numerous beaches, sandy or pebbly, set among lusciously green slopes, combing small traditional villages, hidden in the thick forests, and fishing villages in marvelous beaches. 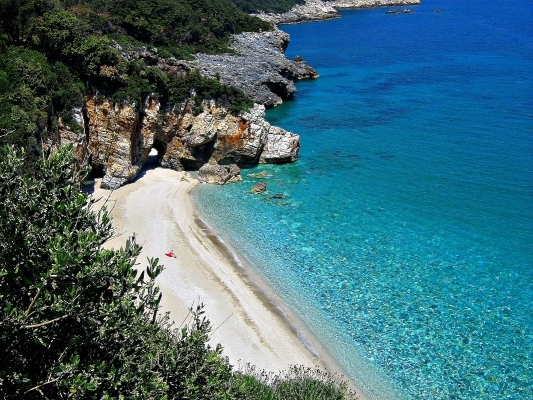 According to the Greek Mythology, Pelion was the summer residence of Olympian Gods and the homeland of Centaurs. 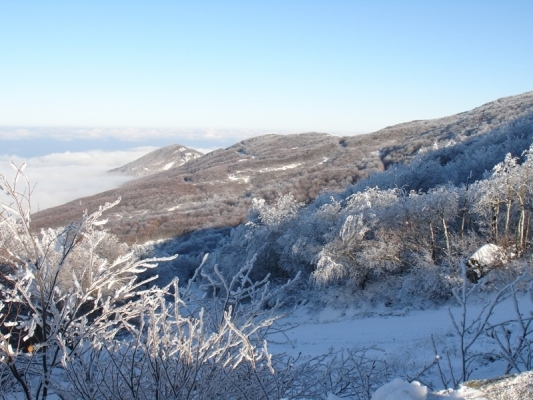 On the high peaks and the dense vegetation of Pelion, the Centaurs who were unique mythological creatures, found their shelter. The wisest and calmest among Centaurs was Chiron. 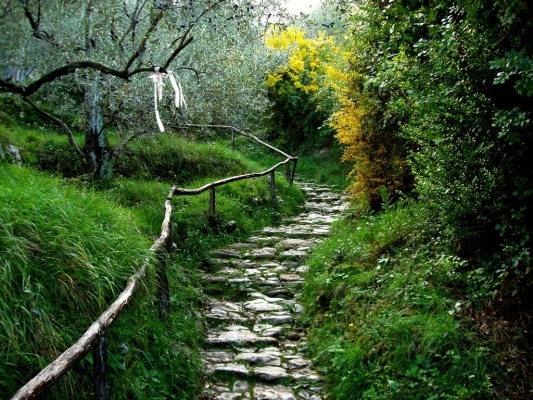 He lived in a cave in Pelion and he worked as a teacher – educator He was healing wounds with mountain herbs and taught the first doctor of humans, Asclepius, the art of medicine. The students of his school were all leaders of the Achaeans in the Trojan wars as well as great heroes, and the most important of all was the famous Achilles. Also the voyage of Jason and the Argonauts to retrieve the Golden Fleece from the mythical land of Colchis was organized in Pelion. Jason was raised in Pelion and was a student of Chiron too. 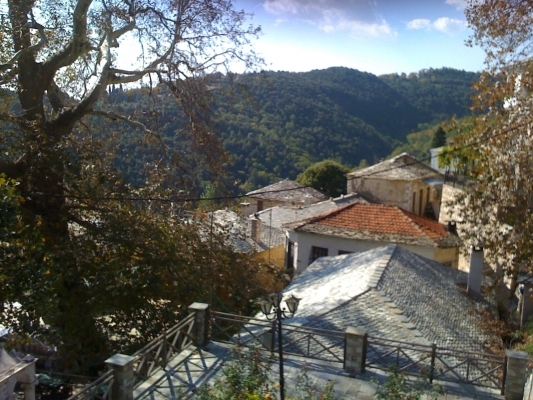 A beneficial element of Pelion is its superb drinking water. This priceless good, water, is worshiped in Agios-Georgios on small taps like temples some of them being real works of art. The recent years it is bottled and sold in Greece and abroad. Do not forget to get to the ravine within the estate early morning during spring and all day during the hot summer days to enjoy the concert of the nightingales. You may enjoy local dishes at taverns, restaurants and ouzeri in Agios-Georgios and near villages Pinakates (2km,5 min by car), Vizitsa (3km,10 min by car) and Milies (6km,15 min by car). Do not miss to taste the traditional drink of the area tsipouro, when drunk in small cups makes people feel lucky and happy. At Milies, it is worth visiting the old steam train station with a remarkable natural environment, running water, the folklore museum and the library of the Pammegisti church. 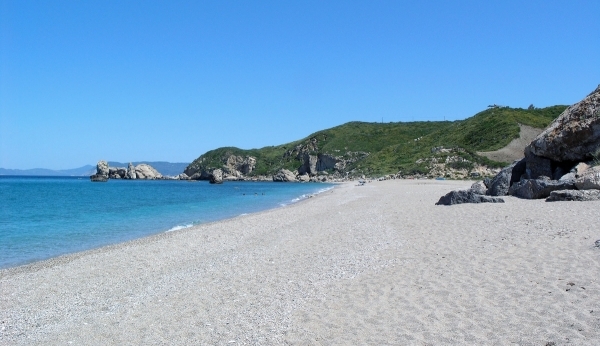 In the summer, you can comfortably expect to swim at some of the most beautiful beaches you’ve ever seen, most of which have been awarded with a Blue Flag. 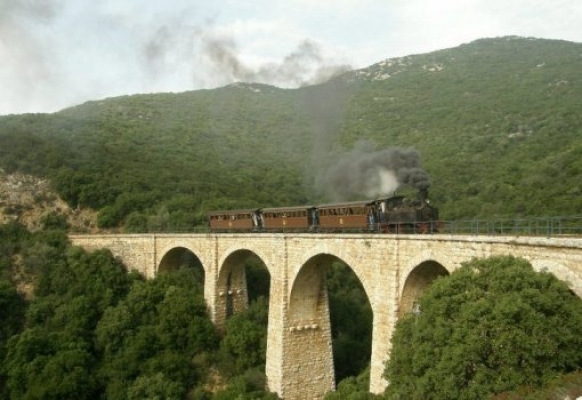 The historical rail link between Volos and Milies, Pelion is the famous route of ‘Moutzouris’. The line opened in 1903. The design and construction work was given to the famous engineer Evaresto de Chirico, father of the also famous painter Giorgio de Chirico. 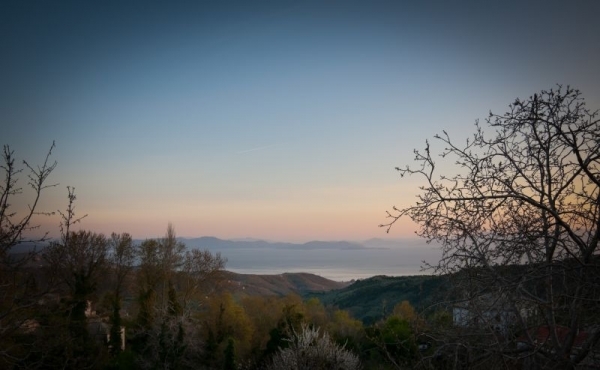 It was a ground-breaking project for its time as it linked the industrial centre of Volos with the fertile area of west Pelion, a place producing a great many agricultural products, such as olive oil and fruits. This train was one of the favourite subjects in Giorgio de Chirico’s paintings, born and raised in Volos, watching the moutzouris creation close to his father. The bridges along the line, 12 in total, are a special beauty attraction. 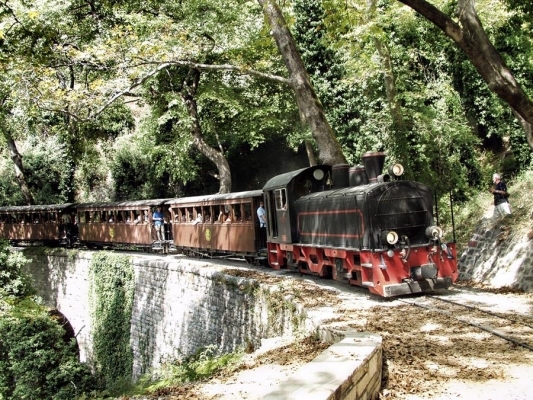 In 1985 the Pelion railway was acclaimed as an historical monument and has been nominated as an UNESCO Monument of Cultural Heritage. 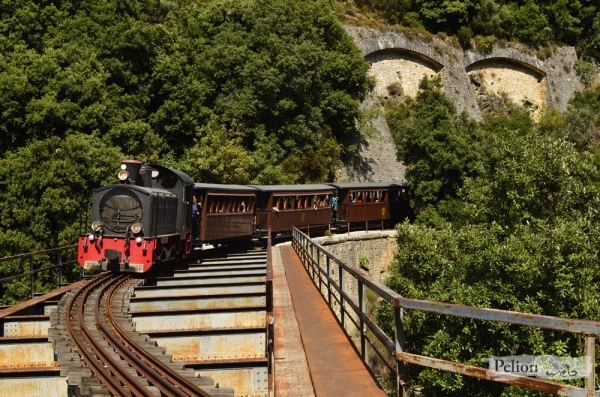 Today the Pelion railway is living a second heyday. It was reopened in 1996 and is now simply a tourist attraction as there is no longer a need for transporting goods. The route begins from Lechonia, climbs up through stunning countryside and traditional villages, like Ano Gatzea, Agia Triada, Agios Athanasios Pinakaton, Argyreika, and terminates after 15 exceptional kilometres in Milies. A few hours later, during which time the visitor can enjoy strolling through the village and its surroundings, the train returns to Lechonia.